Prime Minister Narendra Modi today addressed a wide range of issues in his last Mann Ki Baat address of 2017 and conveyed his New Year greetings. His speech focused on the youth of India and opportunities for them to empower themselves. Mann Ki Baat: Prime Minister Narendra Modi in his New Year address welcomed new voters. New Delhi: Prime Minister Narendra Modi addressed the final edition of 'Mann Ki Baat' of 2017 today on New Year's eve. He conveyed his New Year greetings for 2018 and addressed a wide range of topics. He said that it is time for the country to transform from a 'positive India to a progressive India.' PM Modi asked young voters to take India to new heights. He said India looks forward to welcoming the ASEAN leaders at the Republic Day 2018 celebrations. Leaders from 10 ASEAN countries will be guests at the event. 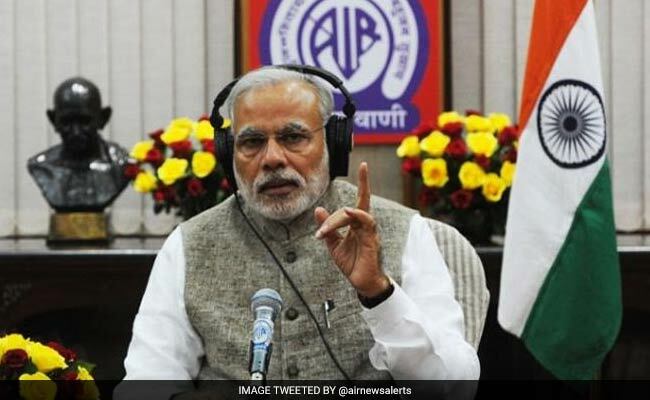 Mann Ki Baat is a radio programme hosted by PM Modi on the last Sunday of every month to address the nation. Prime Minister Narenda Modi conveys New Year greetings to the nation. "Those born in the year 2000 or later, i.e. in the 21st century, will start becoming eligible voters from January 1,2018. Indian democracy welcomes our 21st century 'New India Voters'." A 21st century voter must feel proud that his or her vote will be the foundation of 'New India'. The power of vote is the biggest in a democracy. "New India will be free from poison of casteism, communalism, terrorism and corruption; free from dirt & poverty." "New voters are filled with energy and enthusiasm. With their skills and strength, they will take India to new heights of glory." Prime Minister Narendra Modi also spoke about organising Mock Parliaments in every district of India. He say's, "New India needs to find ways. make plans regarding how we could accomplish our goals by 2022 and how we could build an India that our freedom fighters dreamt of? ". "New opportunities are being created for the youth. From skill development to innovation and entrepreneurship, our youth are excelling in every sector. It is now the time that a system is created where newest development opportunities are easily accessible for the 'New India Youth' as soon as they turn 18." Modi says New India is built by people who with their efforts are bringing a positive change. "Let us welcome the New Year with the smallest happiness and commence the journey from a 'Positive India' towards a 'Progressive India'. Modi speaks about Swachh Survekshan which begins in January. One should fulfill the unfulfilled dream of 'Clean India'. He went on to say that efforts are being made across the country towards cleanliness. 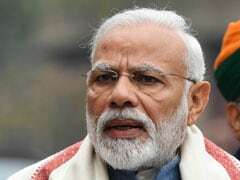 A cleanliness survey will be conducted from 4th of January to 10th of March, 2018 to evaluate achievements in cleanliness level in our urban areas, says Modi. PM Modi also appreciated Punyam Poonkavanam initiative at the Sabarimala Temple in Kerala. Modi spoke about Republic Day celebrations and said that 26th January 2018 will be special. ASEAN leaders from ten countries would be the Chief Guest for the Republic Day celebrations. ASEAN countries include Brunei Darussalam, Cambodia, Indonesia, Laos, Malaysia, Myanmar, Philippines, Singapore, Thailand, and Vietnam. Speaking about the discriminatory Muslim practices he said, "It had come to our notice that if a Muslim woman wants to go on Haj, she must have a 'Mehram' or a male guardian, otherwise she cannot travel, it was discriminatory, we have changed this rule and this year around 1300 women applied to go without a male guardian." He conveyed his best wishes to the people and said that he hopes that the New Year brings happiness and prosperity. Modi ended his final Mann Ki Baat by thanking the fellow countrymen and said that we shall again converse in 2018.